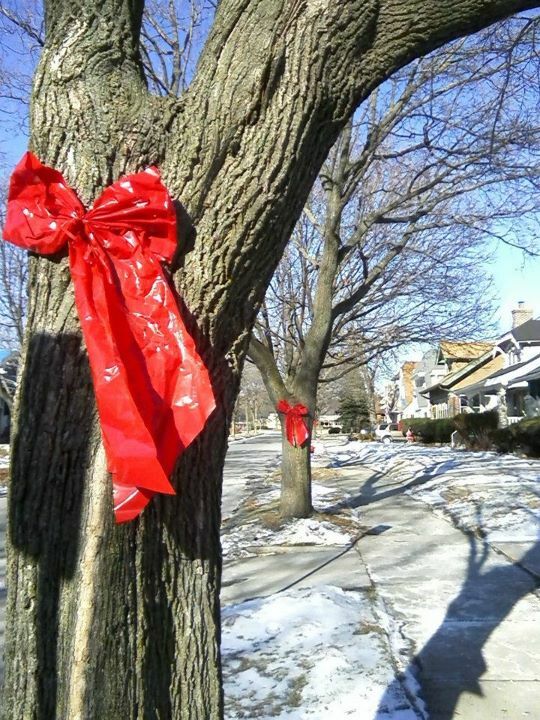 These red bows, almost 500 of them, are on every tree in the neighborhood. It's been a neighborhood tradition for over 10 years, now also in remembrance of neighbors who are no longer with us. They look great as you drive drive around the neighborhood. Many non-residents see these and compliment on how nice they look year after year. In January after New Year's, neighbors also work together to take them down, collecting them and saving ​​​​them for the following year. 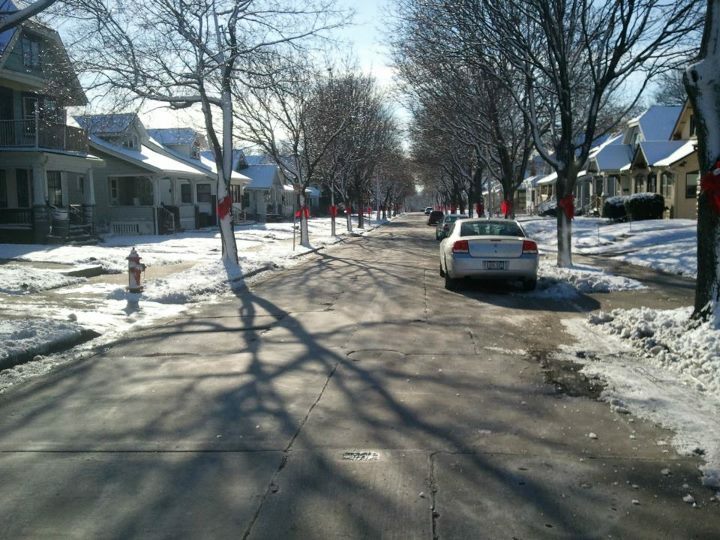 The Martin Drive Neighborhood would like to extend a special 'Thank You!' to Tom Gillard for sponsoring the Red Bow project. 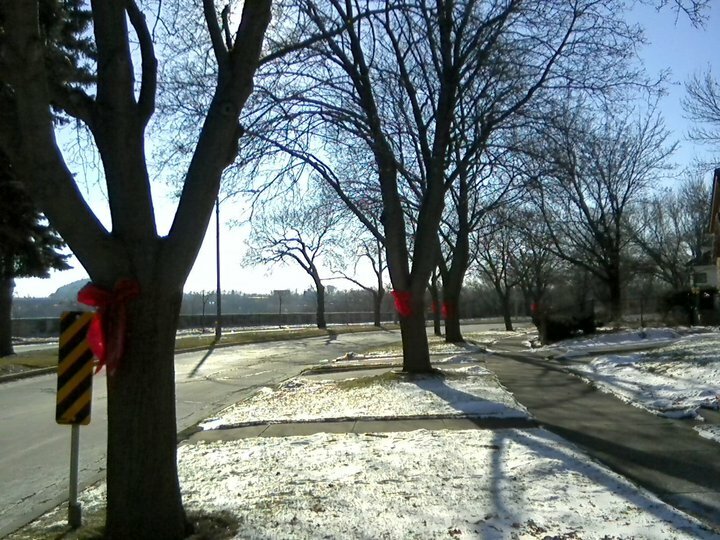 With Tom's donation, the Martin Drive Neighborhood was able purchase new bows. What's the deal with the 'Red Bows'?